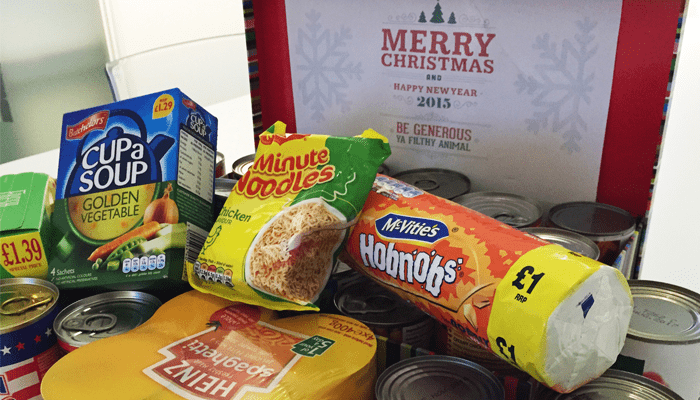 This year in the office we have been collecting food for the local food bank. At this time of year there are many people who are less fortunate than ourselves and we wanted to make a difference and donate, so we collected a food hamper. The whole team donated a tin of food every lunch hour throughout December and as you can see we collected quite a hamper together. We hope that this makes a difference to someones Christmas.